Later edit: looking at the title of the interview on one of the photos, I guess it's the text from the first link... please let me know. Reviews: 0 Hi Luca, it's the first one. GQ definitely has an annoying policy - first publishing extracts, teasing to buy the magazine and in the end they publish the complete version anyway. Well, lesson learned from my side. Reviews: 0 well, maybe - although I have gay and lesbian friends and once celebrated a friends birthday in a gay club in Zurich - I'm still too shy and conservative to buy these kind of magazines. I'm a straight cis-woman and I was quite embarrased when I opened this magazine. However, I agree the feeling, the quality of the photos are definitely worth the money. I've just finished scanning - quite tricky with a simple scanner and a stubborn magazine not exactly A4-size. As I don't want e-mail addresses published I 've sent the scans to Anakin and asked them to forward them to you. Reviews: 0 I'm not at all sure that I'd call Vogue Hommes International a "gay magazine" - I think it's a fashion magazine - and there's not a single thing wrong with a "gay magazine" (like Details). And yeah, I'm straight (and Christian, if that matters) but not remotely interested in anyone else's sexuality except as it personally affects me OR if anyone's sexual orientation / gender identity is being threatened or oppressed in any way - when that happens, look out! Reviews: 0 I'm not ENTIRELY sure that the cover, the pictures, the article DON'T "appeal" to pretty much everyone with a pulse. ahem. Reviews: 0 well, for me it was just too much information. It's not my cup of tea. This does not mean that I feel entitled to hate or oppress anyone who loves such stuff. It's just not for me. Reviews: 13 Taluthah - I received the scans, thanks so much ! But she was very pleased to read your appreciation of the interview she translated :) and promised me she'll do a good job with this one, too. Reviews: 0 you are most welcomed. Reviews: 0 I didn't know that the Lake House was amnong Warner Bros best romances. Reviews: 0 he's got a never ending patience, definitely. 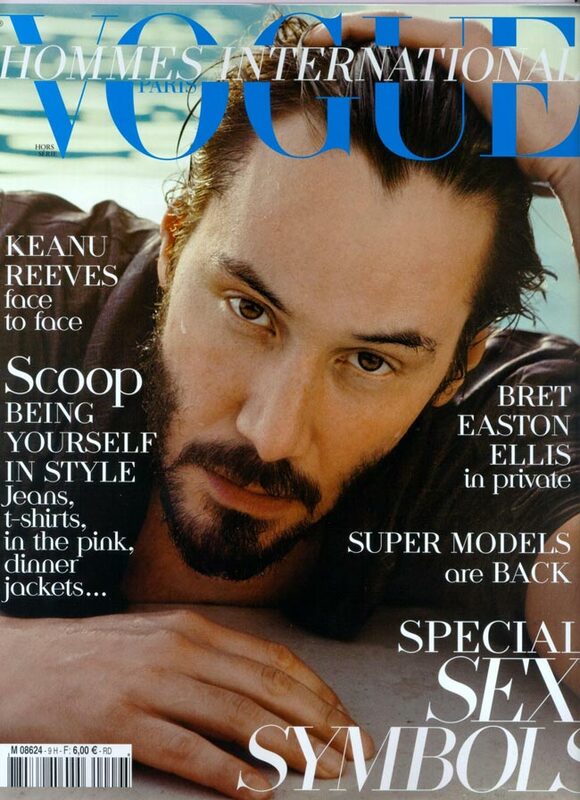 Reviews: 0 I am in Berlin at this time and found this article, Keanu would like to film in Berlin ..., does anyone know when he will be in Berlin again? So far, I think there are just 2 movies that are always quoted in best of lists Speed and The Matrix.